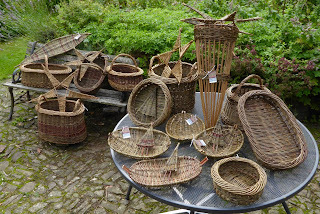 I live in North Devon, where I make baskets from English willow grown in Somerset and occasional additions of other material such as rose and apple. I used to bring back olive from France but can’t do that anymore because of the risk it mght carry a deadly pathogen. Oh dear. 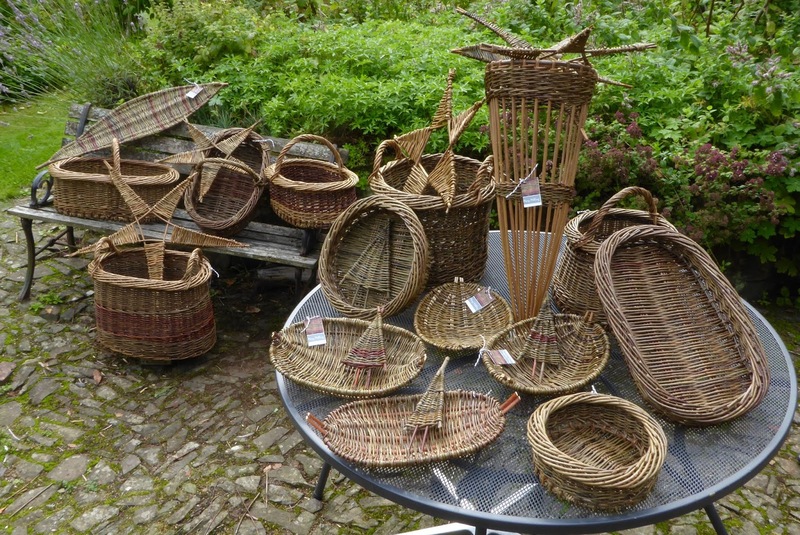 Designing and making baskets is a time-consuming process and it doesn't always work! But the mistakes are part of the process that leads to the successes. Baskets are both containers and objects, functional and decorative. 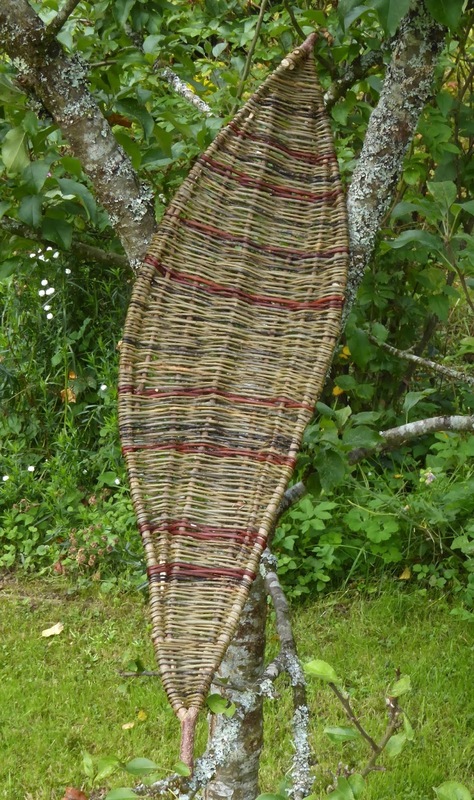 Each basket is unique and even similar pieces will differ subtly. The question I most dread is 'what is it for?' ! I occasionally do exhibitions with other artists. A picture from the exhibition. Art Trek 2018. This is exciting because I've taken a couple of years off and it will be my first leap back into the wonderful world of willow. Here is most of the production!...plenty left. 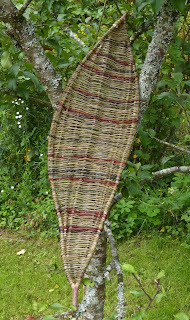 A close-up of the frame platter made from prunings from my Adam's Permain tree woven with willow.